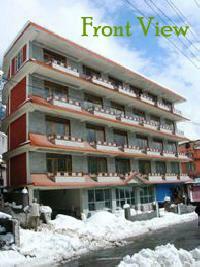 hotel snow princess is located in NH-21 ON RANGRI ROAD. Beautiful hotel with ample parking space. The river Beas gushes just nearby the hotel at a walk-able distance .It hardly takes 5 mins to reach the bank of the river. Staying at Sterling Resorts in Manali is to have the ‘best of both worlds’ - plush comfort and convenience within your cottage apartment and gushing natural beauty of mountains and valleys on the outside. Time spent inside the resort is as pleasurable and memorable as time spent exploring the enchanting mountain outdoors. Hotel Lords Regency.Hotel Lords Regency is located at Manali (Himachal Pradesh, India) 1 kms from the Mall on the Naggar Highway Road overlooking Snow clad Himalayan Peaks and the river Beas. 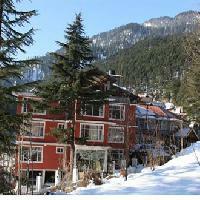 Resort offers quality accommodation with all modern facilities having good outdoor areas. It is a perfect host to rejuvenate your mind and body with the cool air rising from the snowy Himalayas and descending down through the whispering pine. Nagesh Hotel is located on the national highway about a Km from the Mall. It is with all the luxuries and comforts of a modern hotel. Its assets are the vistas that it offers from its rooms. We are a Modern Hotel equipped with 18 Deluxe Rooms, 5 Family Suites, a Multi-cuisine 24 hrs Restaurant and all Amenities like Satelite TV, Wooden Flooring, Intercom, Room Heating, Hot Water to make your trip a memorable experience. We are located in the Scenic Hill Station “Manali” in the Indian northern State of Himachal Pradesh at the foothills of Himalayas. We are situated in the most beautiful and peaceful “Log Huts” area of Manali, just 1.5 kms away from the Mall/Bus stand surrounded by deodar pine trees and apple orchards. Welcome to Hotel Park Paradise the finest of all 3 Star Hotels within “The Valley of God”...The Himalayan Valley of Kullu” – Manali, India. Set in an absolutely fantastic location, the hotel offers an ideal choice for both couples and families looking for a contrast between natural beauty and excellent comfort and service! The entire complex and the main building are designed to bring you really close to nature. You can laze around in the sunshine or relax in the shade. You can free yourself in the beauty of nature and find peace within. Exhilarating fresh air, splendid view and greenery, everything promising to make your stay with us an affair to remember. The hotel distinguishes itself to be different from the contemporary designed bedrooms with the superior facilities, services, and the luxurious conference rooms. The Units are all tastefully decorated with good furniture and ambience that makes your stay comfortable and worth the money with all the modern amenities, a warm hospitality and hassle free value added services that can be compared to International standards. Ocean Blue Hotel has been nationally recognized for demonstrating the highest levels of excellence in the hotel industry. Recipient of the prestigious Department of Tourism approval. And it been recognized by our thousands of Guests who had stayed here and enjoyed a lot there holidays. Our 25 beautifully appointed Guest Rooms including 6 Suites offer guests the finest list of hotel amenities, ensuring a comfortably relaxing and affordable stay. From a complimentary hot breakfast buffet (6:30 a.m. to 10:30 a.m.) offered daily , surrounded by lush gardens, our hotel sets a stylish and invitingly warm mood. Each one of our rooms comes equipped with all the comforts of home including a shower massage. 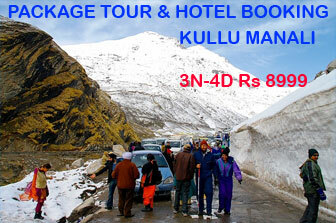 For the most affordable of all the hotels in Manali, we are second to none. Make an Online Booking Enquiry Today. We look forward to having you as our guest. Whether on holiday with friends or on your special honeymoon trip, The Royal Regency Manali is a fabulous place for everything. 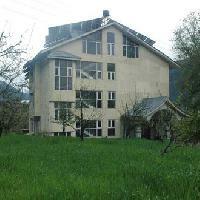 This is one of few properties in Manali that is exceptionally clean and designed in a trendy style. 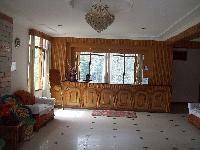 The Royal Regency is situated in just a couple of minutes walk from Manali Mall road. The first thing you notice in our premises is relaxing ambience with a smiling hospitality. We are sure that your holidays will be special with our excellent services and comforting stay ! 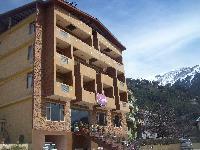 Hotel Kalpna at manali is a budget hotel in manali. 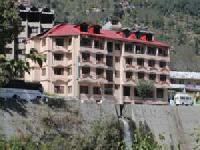 Hotel Jessica is a luxurious 3 Star hotel in â€œManaliâ€, is just 1 kms from Main Mall & Manali Bus Stand. For a home away from home in the lap of the lower Himalayan Range and at the birthplace of all humanity come visit us and avail our services and hospitality to ensure a stay with memories that you can cherish. A Beautiful Place to Stay We aim at providing the best hospitality services to our clients with a large number of luxurious facilities.